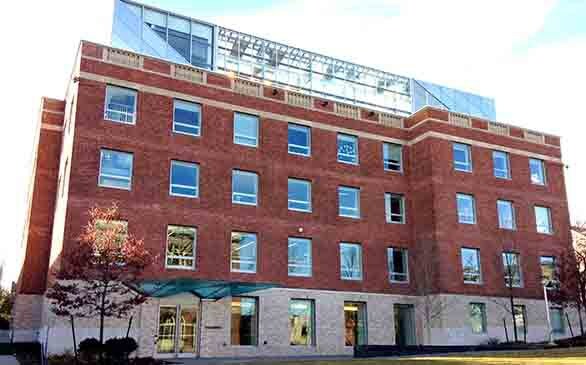 I congratulate Brown University on the construction of this world-class environmental research and teaching facility.- Mayor Angel Tavares, City of Providence"
The Building for Environmental Research & Training (BERT) project consisted of a complete renovation of the existing Hunter Lab building at 85 Waterman Street. The Hunter Lab building opened in 1958 and is a 55,000 square foot four-story brick structure with a basement and a concrete/steel framing system. The renovation project updated the building to lab and teaching uses for the University's environmental sciences program. The building now provides a permanent home for the Environmental Change Initiative. Stephen Turner Inc. provided comprehensive commissioning services from 2012 through 2014 to meet LEED fundamental and enhanced commissioning requirements. Stephen Turner Inc. performed first year monitoring and optimization services to help verify energy use reduction and occupant thermal comfort. 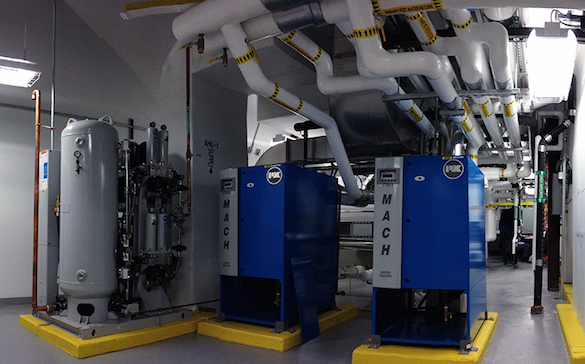 The commissioned systems included the district heating plant connections, chilled beams, radiant heating panels, greenhouse heating and ventilation and controls, automatic lighting controls, and the Building Automation System. The project incorporated numerous specialized features including low flow fume hoods, pressure independent hydronic distribution, research greenhouses and growth chambers, as well as the chilled beam and radiant heat systems. These high performance systems presented unique tuning and optimization challenges. Tailored commissioning services focused on supporting operations and maintenance personnel to ensure the persistence of building performance throughout its life. 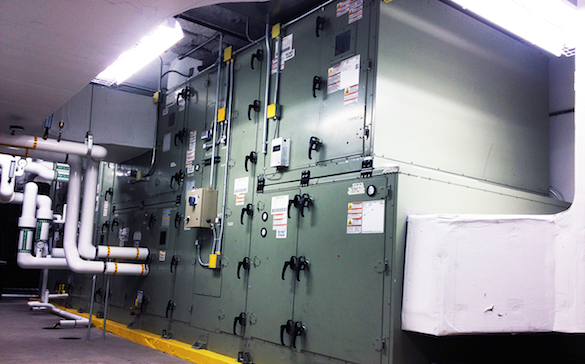 Commissioning deliverables in support of O&M included customized service tags throughout the mechanical and electrical rooms, standard operating procedures, and one-line and riser diagrams. The highly customized Systems Manual compiled critical information into a single, user friendly, hyperlinked electronic file, including system descriptions, nameplate information, sequences of operation, operating setpoints, operating considerations, colorized zone drawings, and standard operating procedures.